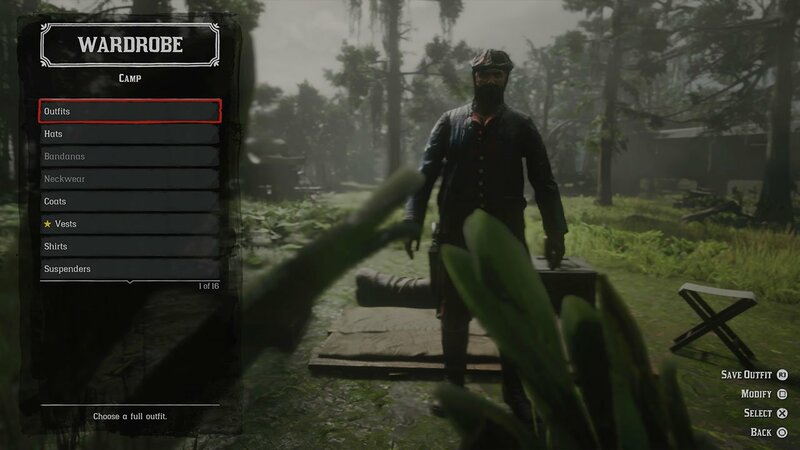 When you first enter the online world of Red Dead Redemption 2, you have your first opportunity to change your appearance. Changing each clothing item, material and color of them. After the tutorial, you can go ahead and change your outfit at any time. Choosing to equip new pieces of clothing or entire outfits that you have purchased or unlocked. You can also choose to save outfits you’ve created to switch between them at any time. Below, we have a quick guide for changing your outfits and clothes in Red Dead Redemption 2 Online. Whilst we’ve covered many more guides for the game which can be found here. To change your clothes in Red Dead Redemption 2, you will need to find a wardrobe. The easiest place to find one of these is at your own camp. If you don’t know where your camp is, look for it on the map, it has a blue tent icon. 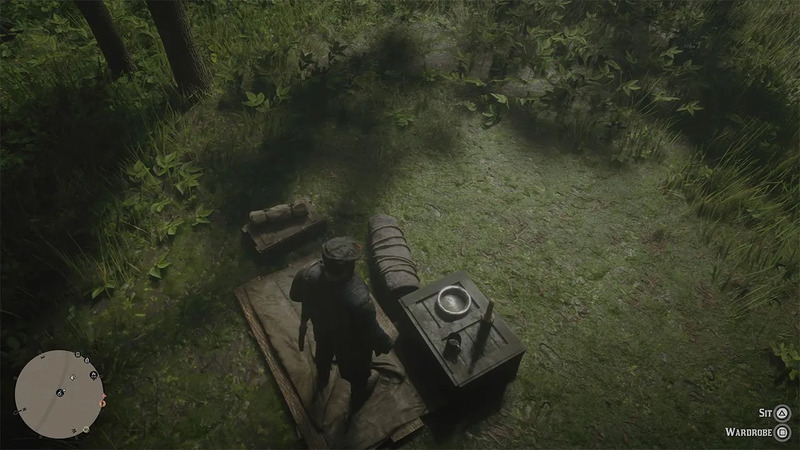 Inside your camp, you will find a wardrobe near your bed. This sits exactly on the tent icon on the map. Interact with it to change your outfits. You can now go through the wardrobe interface and change each piece of clothing. From hats to coats and even suspenders. Once you’re done, you can save an outfit for later use.